The manufacturing sector in India has slowly progressed to produce world-class companies and can make good models to predict how other sectors may make in India. It often said that India has skipped the manufacturing sector altogether and gone straight to become a service based economy. This is an easy narrative, as India transformed into the world’s back-office by companies at the cutting edge of technology, and villages transformed into sprawling urban destinations. 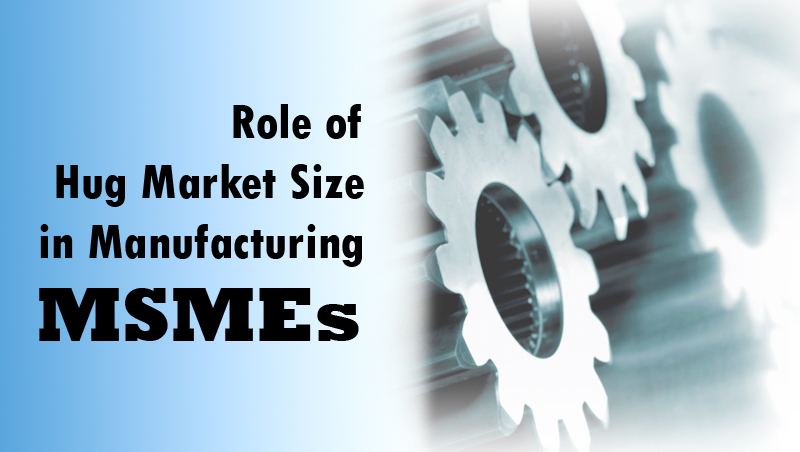 Indian MSMEs and public limited manufacturing companies are making everything from tiles to boilers, from castings to catalytic converters, and are getting really good at what they do. 66% of India’s export in FY 2011 was from the manufacturing sector, and 41% of this was engineering goods. Evidence of this quiet renaissance in manufacturing is evident in the challenge driven products manufactured by the top MSMEs. Each of these companies’ success is its own story; a board narrative can be constructed for the evaluation of these companies into points of excellence; as they are today. When India began liberalizing its economy in 1991; its manufacturing units were essentially peddling sub-standard quality products and services by global standards. It was due to the protectionist enclave created by steep import tariffs and license raj. Slowly these companies – some of them have already crossed a decade or two – began to modernize with access to equipment, technology, and expertise from overseas as the economy opened to the world. A similar story can be seen in the automobile industry, where startup companies have led to global manufacturing lines. Alongside, the pharmaceutical industry has seen companies which have grown from irrelevance to behemoths with huge numbers of employees. However, these are blessed with billion dollar profit lines. Export growth is hard earned as it was founded on manufacturing generic drugs cheaply while enjoying protection from IP policies. Of course, globalization and liberalization of Indian companies happened slowly. This has given time to modernize a firm hoping to supply cheap textiles in India. But how does this relate to the modern day, where cheap Chinese goods flood the market and provocations by China lead to calls to boycott Chinese goods? If we find the answer, we find two things ahead of the others. India’s primary strength has always been its market size. Our core manufacturing sector is wider and deeper than the other sectors. These duo things can lead to a forecast that sectors most likely to benefit from Make in India are those where our market size counts. Nevertheless, some protectionism is possible. Another conclusion could be that highly competitive electronic goods manufacturing is best left to China. Further opportunities may lie in industries where India has world-beating low cost base, like steel utensils. Opportunities in construction and power equipment can be encouraged through a variety of tools including rescinding protectionism and FDI. Even the huge market size is playing a crucial role in inviting the globally acknowledged investors for investing in this subcontinent. Apart from this, a lot of NBFC’s registered with RBI, with their Digital Fintech Platforms are playing a major role in this context.